2. 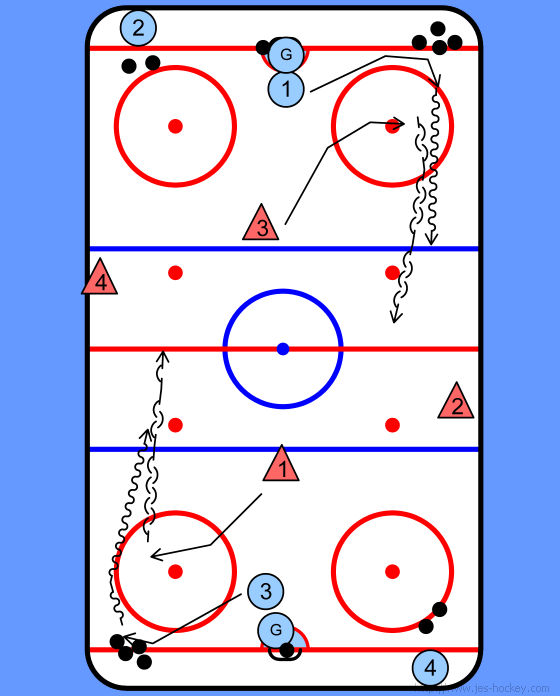 Forwards (circles) pass the puck to the Defensemen (triangles). 3. 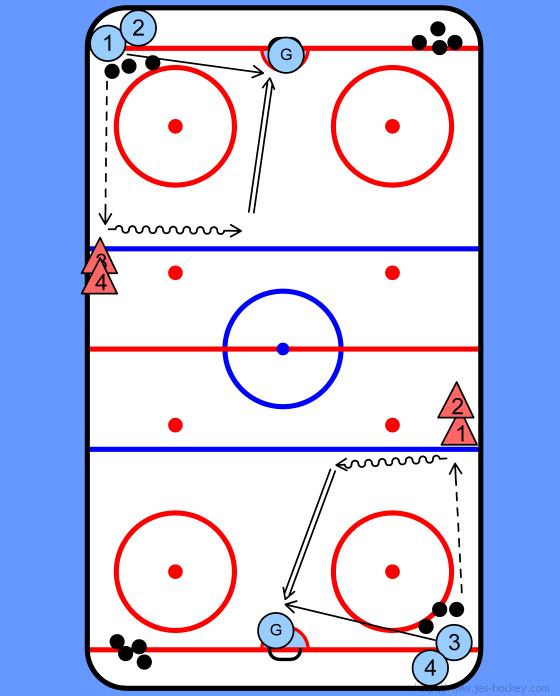 D move to the center of the ice and shoot with forward deflecting the puck. 5. After the D shoots the puck he immediately pressures the forward by going well into the offensive zone - this is done to promote gap control. 6. Once complete Coach will restart the drill on his whistle and so on.